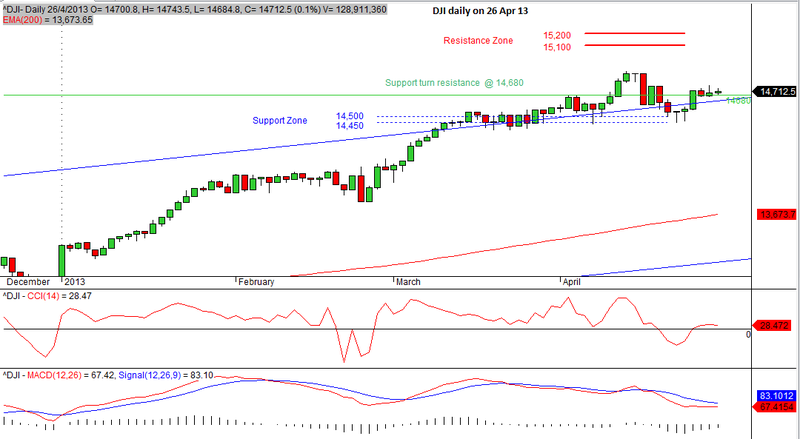 Posted on 07/02/2014 by Jayson	in Markets Comments and tagged Bottom Fishing, STI, Straits Times Index, support. 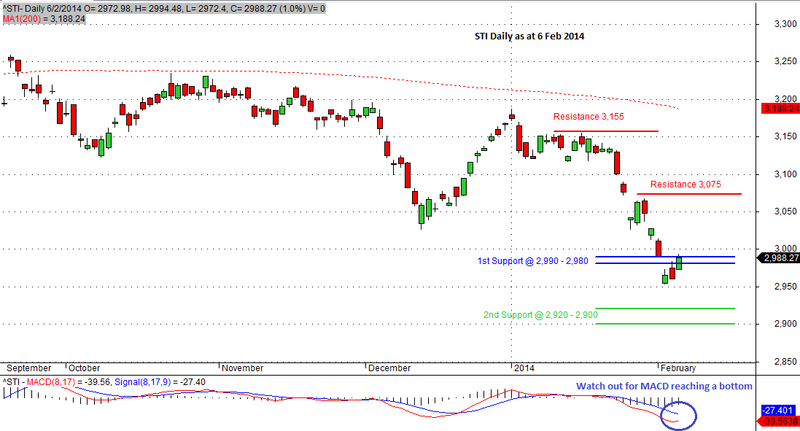 STI has broken its 1st support on 4 Feb 14 with a low of 2,953. 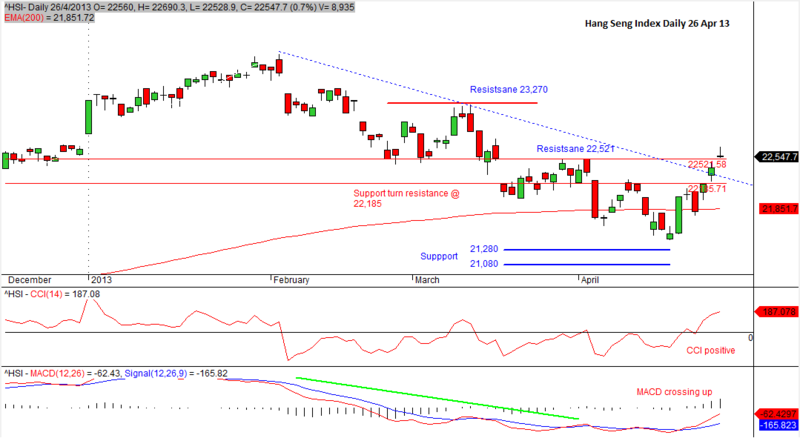 As the index did not continue to head towards its 2nd support of 2,900 – 2,920 for the time being, we can assume that the Index is taking a rest. Currently, we can see that it is trying its best to go above 2,990 (support turn resistance). 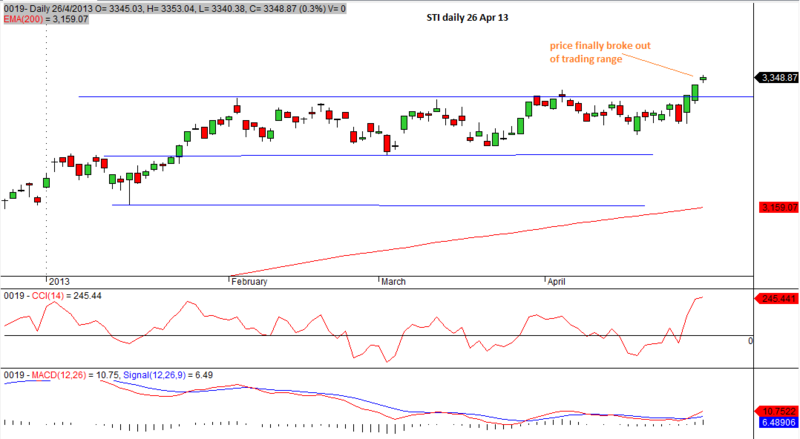 Once 2,990 is broken and the Index stays above it for a few trading days, we can say that the Index is supported. It will be good if this coincides with MACD reaching its bottom or crossing its signal line. Once this is established and if possible, wait for a retracement back near to the support of 2,990, Traders may go in for bottom fishing with a tight stop loss. However, if 2,990 is not broken or the Index does not hold above for a reasonable period of trading days, then we can expect market consolidation to continue with no direction. 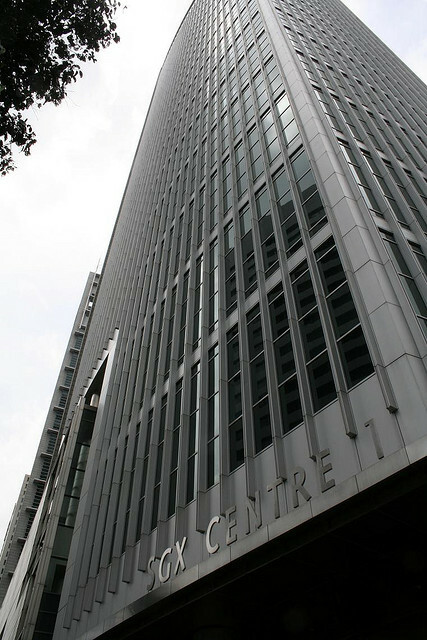 The index will hover between 2,920 to 2,990.